I am still thinking about a comment made on Fareed Zakaria's CNN program concerning Americans and health care. To distill the comment, the reason Americans spend more per capita on health care for fewer people covered is probably not a reflection of efficiencies gained from socialized systems in the EU. "Second, would we act differently even if we knew we had less than a year to live? Perhaps less than you think. The most telling example of this was the failure of the Acute Physiology and Chronic Health Evaluation, or APACHE -- a scoring system that gave 95 percent odds that a patient would die in an intensive-care unit. Once a patient received such a prediction, the intent was that the amount of care delivered would be reduced. But this reduction did not occur. Why? Many people have trouble facing the reality of death, preferring to believe that they are part of the 5 percent who will beat the odds: 'Aunt Bertha always beats the odds, and she will now. ...'"
What I am observing is that soldiers are the Americans who have the "big picture" in mind, risking their lives to defend larger social goals. I have never been drafted or been in a situation where it made any sense to volunteer for the military. Yet, as a student of international relations and political science, I am a strong supporter of FDR's agenda to challenge Nazi Germany, and am sobered by the statistic that during his campaign for the presidency, 90% of Americans opposed entering World War II, and 70% of Americans even opposed sending scrap metal to England during the blitzkrieg! 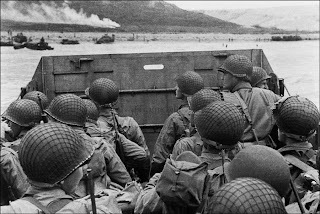 Contrast that pacifist statistic with the images of D-Day in Normandy or the war in the Pacific. These same Americans, once we were committed to be in a war, were able to suspend self preservation instincts and commit acts of untold bravery. So what I'm thinking is that I need to volunteer for something like the invasion of Iwo Jima thirty years from now, when I'm not likely to "beat the odds". 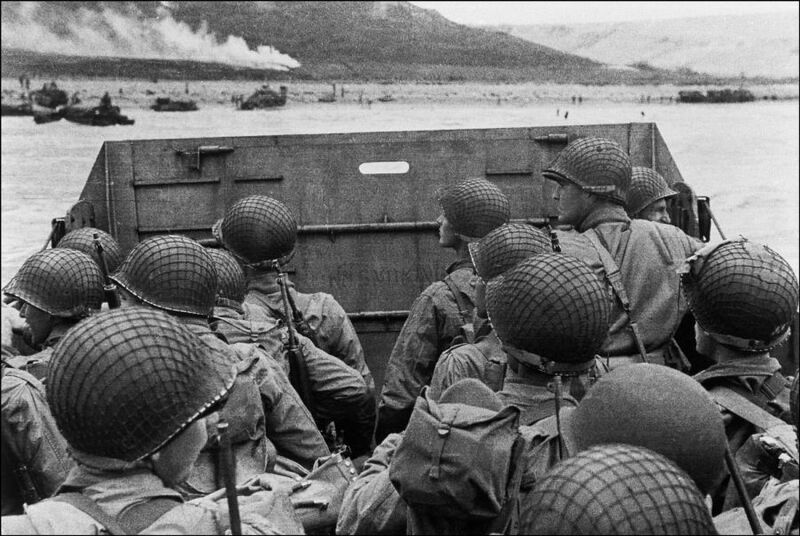 I'm thinking that if I had been diagnosed with Aunt Bertha's syndrome, that I'd be first in line at Normandy beach. Why not be bravest when I have the least to lose? For me, as a former Peace Corps volunteer, I am setting up a life plan where I will have friends in the poorest and most destitute countries. When I reach a time that my kids may feel compelled to spend what my parents spent caring for my paternal grandmother (don't ask), I want to be working in Guiyu, side by side with the people there, stripping copper wire. I am more likely to choose the right place if I am actively trading and developing trusting relationships with partners and clients in Africa, Latin America, Asia etc. now. You might assume this is written in whimsy. People who knew me in high school and college, when I said I was going to one day own a recycling business and travel the world and practice philosophy for a living and make sure my kids are fluent in two languages before they are old enough to realize they are learning twice as many languages ... those people might read this and might know how I plan my life in decades not in months. It has made me a better person in some ways, but a less careful person in short term situations. When I speak my mind, I often realize I'm rubbing someone the wrong way. But I also realize with dead certainty how few things I say are remembered a decade later. People tend to remember that I spoke the truth, or that I said something funny, and here and there a quote may survive. But the anger and jealousy and offense created in speaking truth to power, and practicing dialectic for better long term outcomes, is what makes a life worth living. My son (14 next month) is reading Huckleberry Finn. I told him to tell me when he gets to the line, "All right then, I'll go to hell." It embodies so much, the challenge to society which finds the phrase offensive, and the bravery of the least among us willing to sacrifice eternal life for the sake of a friend that no one else knows is a human being. The decision to float south in order to ferry back north. My friends in the developing world are my Jims, and lacking the discipline to meditate away my ego, I can accept my role as a junk dealer scrap e-waste guy who is a bit like Huck Finn in the business world, and shrug off the bad labels, by embracing them, just as Huck did. All right then, I'll go to hell. No one is going to care about "e-waste" three decades from now (Grandpa Robin set up the first laundromats... Grandpa Robin set up the first gas stations... Grandpa Robin set up the first bottle redemption infrastructure...? WTFC?) My late life health care plan is to imagine myself on the shores of Guadalcanal. My plan is to have a funeral which is wicked cheap, in a place not many people would ever travel to attend. When I tell everyone I neither intend to be burned or landfilled at the end of my life, but composted, it's a tongue in cheek reference to disappearing in the jungle. What may bring me soulful joy is to think of people in Cairo, France, Senegal, Peru, Indonesia, Arkansas, Vermont, Cameroon, Lithuania, Denmark, Holland, Somerville, Fresno that I met and I liked, and to think that if they were to be at the funeral, that they'd like me back as much as I like them. Maybe someday we'll write a book on the history of recycling, which notes dates like this HistoryPlace timeline of the Pacific War theater. Right. Like what I'm doing is as important as what Nimitz and Eisenhower were doing. Environmentalists take themselves soooo seriously. But then again, this is the kind of facts and truths which serious recyclers NEED to be taking, if the study of environmental health is to eventually get out of the scatalogical stage. Captain John Gregory Burke contributed to both military and study of scatology. To compare sacrifice in war to steady contributions to sustainability in the environment is tricky. You know what's cool? There are a lot of other people writing blogs like this. Check out the James King article about Chinese counterfeit condom factory enforcement - it's a lot like the intended counterfeit printer cartridge enforcement in Foshan (which I saw the aftereffects of in my visit to Nanhai) which was funded by an OEM to crack down on counterfeit cartridges, but (as long as they were there anyway) also led to the arrest of printer repair, copier refurbishing, and normal non-counterfeit cartridge refurbishing. It led to pictures of cartridges being burned on the street, which were afterwards peddled on the web as the Chinese recyclers activity. These were the cartridges SEIZED by the police and burned, and then it's shown as what the Chinese cartridge refurbishers do with the cartridges they paid us $2 for? Pay $2000 for shipping, then set them on fire in the street? Ok, now I'm back to the old stuff, time to log out. 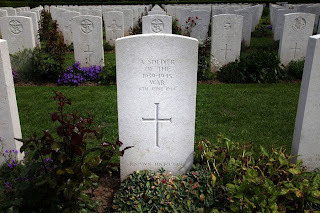 I was led to King's blog by the photos of World War II, he has some terrific ones there. 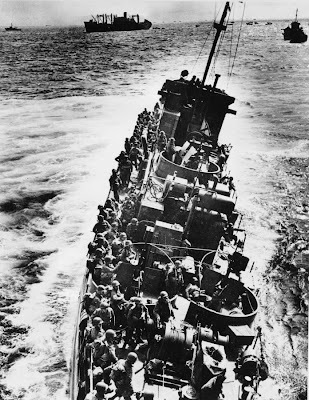 This craft sunk at Normandy moments after this photo was taken, notice the helmets and backpacks of soldiers all standing to starboard, trying to right the ship. That's kind of what fair trade recycling exports feels like most days when I go to work. My dad always says, "Take your cause seriously, but don't take yourself too seriously."